This essay previously appeared on The Culture Wilderness, it appears here by permission of the author. This piece has been lightly edited for the general reader with many reference notes removed. The full list of references and notes is available in the original. 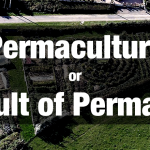 Since then, permaculture has grown into a worldwide movement of activists and designers applying permaculture principles to the whole of society. Permaculture is more an approach or philosophy than any specific technology, but where it has come under academic scrutiny, many of the kinds of practices frequently advocated have been found lacking in supporting evidence. 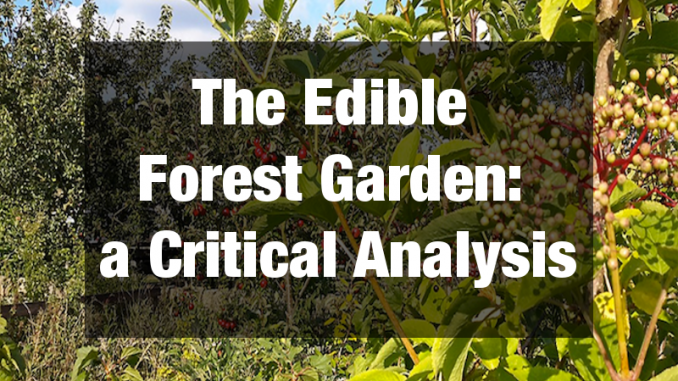 In this essay we shall focus on one of the best-known expressions of permaculture design, the edible forest garden or food forest for temperate regions, which are designed with the intention of mimicking the structure and functions of natural woodlands. Successful integration of trees with agriculture for multiple environmental and crop protection functions, nitrogen fixation and fodder is well established in traditional systems in many parts of Europe, and is gaining renewed interest today as an essential part of agricultural sustainability. It is worth examining why, then, while forest gardens continue to be popular amongst the permaculture fraternity and the sustainable food movement, they have attracted little academic research, and very little uptake by farmers, orchardists or market gardeners. As we shall see, evidence to support the claims that forest gardens achieve both low inputs and high yields is lacking, and there are good theoretical reasons why the concept is unlikely to succeed in temperate zones. Edible forest gardens –also known as forest gardens, woodland gardens, food forests or analog forests have been defined as “a perennial polyculture of multi-purpose plants” and are comparable to the multistory agroforestry systems common across the tropics known as homegardens. Robert de J. Hart is generally credited with being the first to bring the concept to Europe in the 1980s when he started the UK’s first forest garden in Shropshire (Hart 1996). 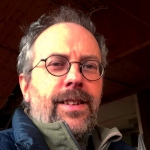 He cites as his influences Smith (1950), Yeoman (1971) and Sholto Douglas (1985), and his work in turn went on to influence Patrick Whitefield (1996) and Martin Crawford (2014) in the UK and Jacke and Toensmeier (2005) in the US. Gardens which are primarily or entirely perennial polycultures, containing at least three identifiable vertical layers of food-bearing plants including trees, shrubs and perennial herbaceous understory. This definition differentiates them from both annual vegetable gardens as well as other well-established agroforestry systems such as broad-scale silvoarable systems, which generally include only one or two annual crops in between rows of trees. Crawford (2014) estimates there are some 800 hectares of forest gardens in the UK and lists approximately 160 forest gardens in his Forest Garden Network, including 9 in Ireland, 30 in Europe and a handful in the US. They range in size from small gardens of as little as 50 square meters to smallholdings of up to about 5 hectares, with the smallest area for a “fully functional” forest garden estimated at around 1000 square meters. Perhaps ironically given their continued popularity in permaculture, Mollison did not himself advocate perennial edible forest gardens for temperate regions. He was well aware that temperate gardening was characterized by annual or biennial seed crops and tubers and by the need to store root vegetables over the winter, and that tree crops are more likely to be for fruit than for staples. The academic literature also indicates that temperate gardens have traditionally tended to be based on annual vegetables, often arranged in relatively formal beds and generally requiring full sunshine (Ninez 1987; Vogl and Vogl-Lukasser 2003). In October 2016 Silvio Volkman published a further update to the PC Association Forest Garden trial, discussing the results after 5 years. (Volkmann – pdf –2016). This update reviews the progress of ten participants in the 10-year trial after 5 years. A mixed picture is presented, with some successes and failures being reported, and also shows that the research its of is incomplete due to insufficient funding. While a majority, but not all, of the forest gardeners interviewed expressed general satisfaction with many of their aims, there appears to be no qualification of yields or other data of any kind. Yields are anecdotally reported as being “better than expected” or “incredibly high amounts of fruits” without any attempt at quantification or comparison with other systems such as conventional orchards. Challenges reported include weed control, variability of yields from year-to-year, and shortage of labour and finance, while benefits include educational and community-building. In general, this trial, while commendable in its intent, seems to suffer from operating entirely outside established academic research structures, and aims at validating a pre-conceived outcome, of showing temperate forest gardens to be viable. Given the absence of quantifiable data beyond a very small set of subjective trial would seem to be of limited value, adding little to the understanding of this system. Despite this, Jacke and Toensmeier (2005) cite the ancient practice of coppicing of woodlots for firewood and poles as an example of traditional forest garden practice. However, coppice woodlands are not primarily food gardens, and generally only involve one or two layers, the coppiced hazel and sometimes a standard timber crop. 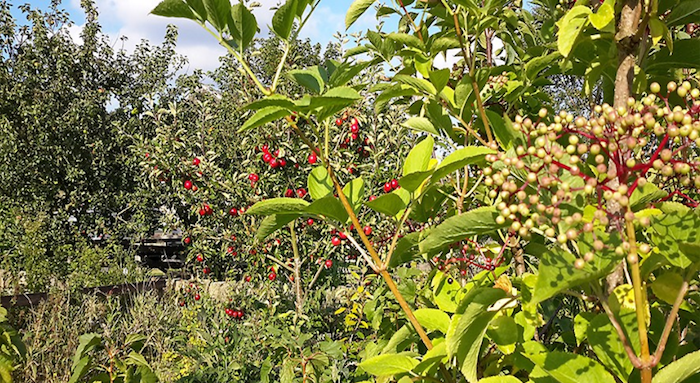 In the UK, orchard trees were commonly grown with an intercrop of soft fruit—blackcurrants or gooseberries—prior to 1955; less commonly some (mainly annual) vegetable crops were included, and there are examples of intercropping between trees with annual vegetables. One of the few examples that do meet the definition of a three-layered system included asparagus as a perennial vegetable, but apart from these cases it seems unlikely there was any widespread traditional practice of genuine three-story perennial edible home gardens in Europe or the US. 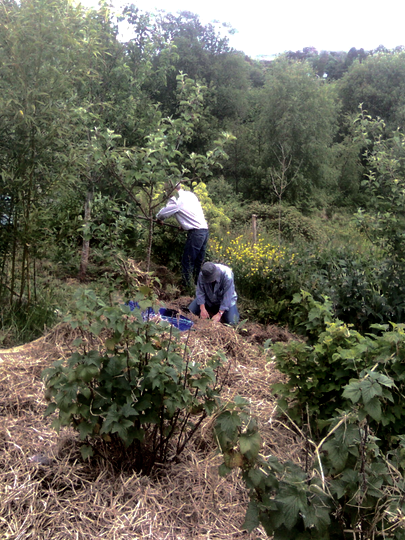 In a recent effort to correct the dearth of research on edible forest gardens, the UK Permaculture Association began a 10-year forest garden trial in 2009, publishing a baseline survey of 117 forest gardens in the Europe and the US in 2013 (Remiarz 2013, 2014 pdf). The oldest sites were started in the 1980s, with the majority starting since 2000. Nearly half reported that “food self-reliance” was their main objective, with the majority saying this has been largely achieved, though what proportion of each gardener’s food requirements was met is not quantified. In fact, the species lists suggest that in reality the crops grown in most of these forest gardens differ little from the fruit and green vegetables typically grown in traditional home gardens from the 1950s (Ninez 1987). from the ridge above the site. This apparent mismatch between aspirations and practice requires some explanation: why are forest gardens still believed in and promoted—at least within the permaculture fraternity—if the practice falls so far short of expectations? To answer this we now consider the philosophy of copying nature underpinning the forest garden concept. Philosophy: Return to the Garden? My mini-forest is the culmination of many years’ study and practice of the system that has come to be known as Agroforestry or Permaculture, and which many people, including myself, believe has a major role to play in the evolution of an ‘alternative’, holistic world order. A Green World. The World of Gaia. The belief underpinning permaculture that “nature knows best” and agricultural systems are best shaped in the image of the natural world stems from the “organismal metaphor” proposed in the early 20th Century (Clements 1916), seeing ecosystems as behaving like a “super-organism,” and on Odum’s cybernetics, seeing ecosystems as analogous to machines (Odum 1981, cf. Holmgren 2001). Conservationists such as John Muir then popularized these ideas of an ideal state of “natural balance” for both nature and man, but while still a dominant idea in both popular culture and much environmental policy, most ecologists today see natural systems as being characterized by continual change and adaptation rather than any ideal state of stability, and some suggest that the ecosystem concept itself may have outlived its usefulness. Permaculture and other alternative approaches to farming are rooted in the post-1960s counter-culture’s beliefs about the need to prepare for an inevitable collapse of industrial society and a consequent return to subsistence farming (Gold and Hanover 1987). Botkin (2012) traces this idea of a “Fall” and “Return to Eden” back to the roots of Judeo-Christianity, a powerful metaphor that also helped shape early ecology and environmentalism. Perhaps these deeply held cultural beliefs help explain the ongoing interest in close-to-nature approaches to farming such as forest gardens, which are seen as a way of restoring a presumed ideal state of natural balance that humans have disrupted by clearing the forests and tilling the land. forest gardens have multiple functions and yields including therapeutic and environmental benefits. Taking each in turn we can establish theoretical explanations for why these principles in themselves are insufficient to make forest gardens viable as alternative food production systems. Yields from tree crops are limited by a trade-off between yield produced and the energy used by the tree itself in maintaining its woody structure. In addition, while yields increase over time as the trees grow larger, they will also produce more shade and roots (which will extend at least as far as the leaves), both of which are likely to reduce the yield of understory plants via competition for light, water, and nutrients. Crawford recommends up to 50% wider spacing than in conventional orchards to allow enough light through to the lower layers, and so most of the advantages of the vertical space are lost. We will compare figures for yields of tree crops and arable crops below. Perennials have the advantage of not requiring annual cultivation and planting, and often emerge earlier in the spring than their annual counterparts, but have the disadvantage of being static and not easily changed in response to changing conditions. 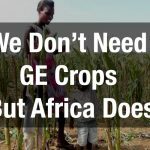 By contrast, annual crops can reach optimal yields within just one or two seasons, and an annual system is much more flexible in that a different variety or crop can easily be switched to in the event of disease, climate change or even nutrient depletion. Annual grains were the first plants to be domesticated for the very reason that, in setting seed each year, they have lent themselves to dramatic improvements for yield and other traits through plant breeding. 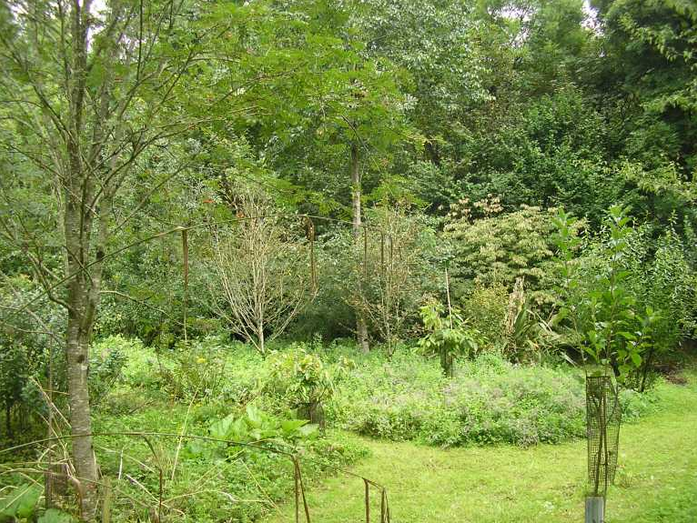 Diversity is one of the “principles of permaculture” providing the notional underpinning for forest gardens, yet this diversity may compromise yields. The competition between species has already been noted. 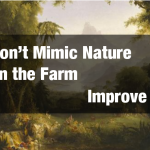 Also, polycultures lend themselves less to mechanization of cultivation and harvest, and nuts that fall from trees are likely to be lost in any groundcover vegetation. However, some researchers have pointed to the work already done on intercropping—traditionally practiced around the world—as a basis for promoting more complex polycultures such as forest gardens. Resource partitioning (soil and light), the ability of combinations of crops to access more soil nutrients than monocrops, and modification of the microclimate, have been shown to increase yields compared to the individual crops grown alone. 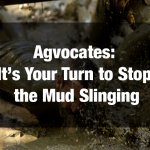 • The author responds to readers from a previous discussion of this piece here. While intercropping has also been shown to increase yields in relatively simple silvoarable systems such as vegetables between fruit trees, Vandemeer also found cases where yields were lower if inappropriate crops were chosen. Whitefield (2013) was also aware of this, pointing out that the largest gain from intercropping is gained from the first crop addition and is likely to decline with the addition of each subsequent crop. In a review, Denison (2012) found that achieving optimum spacing in intercropped systems was difficult, and that while intercropping increased yields compared to the average of the two crops, they were often still less than the best crop grown as a monocrop. Thus, for many farmers the pragmatic choice was to grow the single best yielding crop alone. The apparent lack of variety in the crops we eat is also cited as a reason to prefer forest gardens over conventional agriculture, but there are good reasons why only some crops have been adopted apart from ease of improvement breeding mentioned above. Being readily storable and transportable, corn, rice and wheat alone account for nearly half of humankind’s caloric intake. Another reason is pollination – a crop suitable for agriculture requires reliable methods of pollination to produce good yields, and so these grains tend to be either self-fertile, pollinated by many different insects, or wind pollinated, in contrast to many other plants that have co-evolved with specialist pollinators. Along with Jacke, Crawford (2014) argues that it is the efficiency of the system that acts of a measure of sustainability, not the total yield. He claims that modern agriculture often achieves an energy return of 5:1, and sometimes less than 1, with more energy going into the system than coming out, while forest gardens can achieve as much as 40:1. Even if this were true in terms of absolute physical energy – it is not explained how these figures are arrived at – fertilizer accounts for only about 2% of global energy consumption and farming without it would be far more labour-intensive and require up to four times the land to grow the same amount of food (Smil 2011). 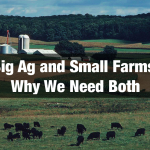 Thus, while low-input systems may be less dependent on fossil fuels overall, this advantage is vastly outweighed by the land-sparing benefits of continued increases in production from modern agriculture. Yet as R. Ford Denison explains in his book Darwinian Agriculture, an evolutionary perspective applied to agriculture reveals that natural systems have evolved more by chance than by any design and that the defining unit in terms of function, adaptability and resilience is the individual species and not the system as a whole. Plant assemblies in nature may be as malleable as in a designed garden, readily incorporating newcomers in the form of aliens, invasive or naturalized plants and often continuing to function well even after the loss of many native species. Other kinds of “yields”, such as the aesthetic and therapeutic value of gardening and working close to nature, are often cited as highly valued reasons for promoting forest gardens. There is no question that these are important aspects of gardening, but may be served as well if not better in other ways. Urban gardens, though not primarily for food, already provide habitat for a wealth of biodiversity. Equally, there is good evidence that gardening and gardens have great therapeutic value but again, there is no reason to suppose edible forest gardens will significantly add value to this. Yields- Land Sharing or Land Sparing? Despite absence of data, claims for high yields produced in such temperate permaculture systems can be extravagant (Sustainability Centre 2015). Hart (1996) for example states that “the forest garden is the most productive of all forms of land use”, supporting some of the most densely populated countries on earth. 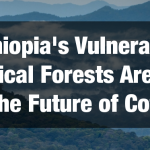 This might be plausible in tropical climates, at least in terms of total biomass production if not food yields, but the limitations of light and the relatively narrow range of productive tree crops available in temperate zones make this an unlikely scenario for the UK. In the UK, most food produced in forest gardens is fruit or leafy green vegetables. Yet for forest gardens to prove their worth in production terms, they need to compete with other staple crops with high value of protein and carbohydrates. The main option for tree crops here is nuts. Hazelnuts can achieve yields of 3.5-4 tonnes/hectare 8-10 years after planting, walnuts potentially 1tonne/hectare and sweet chestnuts up to 4.75 t/ha. This is still a long way from typical UK yields for barley and oats of 5-6 t/ha or wheat over 8 t/ha. Potatoes can yield over 40 t/ha – assuming 80% water content, this would equate to 8 t/ha in dry weight. These best-case values for nut trees in the UK are not found in forest gardens with a complex understory, but generally in monocultures. Additionally, nut yields in the UK vary from year to year and are vulnerable to poor weather during pollination or early wind-fall and hence are unlikely to grow much beyond their current niche market. As you can see, hazelnuts do perform extremely well on this score, having a very high calorific value, but in a forest garden the trees would be at wider spacing and the yield per hectare would be lower as a result. Apples score high as well, but are not nutritionally suited to use as staple crop. Discussion of yields is important because the driving rationale of the forest garden is that modern agriculture is unsustainable, laying the blame at the feet of monocultural systems based on annual grains and pulses. However, despite often well-founded fears of soil erosion and nutrient depletion, global yields of these crops continue to increase through improved varieties and technology (Ausubel et al -pdf- 2012; Grau et al 2013). Indeed, total land used for agriculture may have already peakedas a result of ongoing improvements in efficiency, and substantial area of land has been “spared” for nature as a result (Stevenson et al -pdf – 2010). This dramatic and sustained increase in agricultural productivity over the past century has resulted in only 2% of the population in the U.S. being required to farm. In these respects then, modern farming is arguably more resilient because of its continual innovation and adaptability. The three—or more—layered perennial edible food forest we have examined here is an attempt to improve agriculture and food production by mimicking nature. What works well in the tropics however does not seem to work well in cooler climes. While interest and research into sourcing promising novel crops and new cultivars from around the world continues, most temperate forest gardens seem little different from the fruit gardens and orchards commonly found in Britain prior to the 1950s.Temperate forest gardens do offer great potential for further research on plant interactions within multi-strata perennial systems, and there is great scope for improvements in cultivars of many tree crops. A warming climate may offer a greater range of possibilities for novel crops to be grown in the UK, as is being tried, for example, by Otter Farm in Devon where they are now growing olives and almonds, but it is as yet unclear whether multi-tiered systems will provide any significant advantage.Despite the lack of promise forest gardens show in becoming a viable alternative to industrial farming, the ongoing interest in permaculture philosophy together with public concern about sustainability will ensure that they continue to be experimented with by enthusiasts. The myth of the need to return to a “balance with nature” remains a powerful influence in many areas of public policy well beyond the permaculture movement and will continue to shape ideas about food, farming and conservation for a long time to come. References available in the original piece. •Farming or Gardening? What’s the Difference?